Is your olive oil Non-GMO, Kosher and/or Organic? What country is Centra Foods’ oil from? I haven’t decided what grade of olive oil I should get. What do you recommend? I need a 100% olive oil that has a mild flavor, or no flavor at all. What do you recommend? Can you match a particular taste profile that my QA/R&D team has specified? I’m deciding between the 55 gallon drums and the totes. What are the pros and cons of each? I want to buy in drums, but I’m afraid that might be too much oil. Is there a smaller size? Do you offer tankers or flexitanks of olive oil? Can you export my olive oil to a different country? I want it delivered outside of the US or Canada. How do I get a quote on my bulk olive oil? The price I was quoted doesn’t include transportation. How much is shipping going to cost? Why does the price of my olive oil fluctuate? I was quoted a couple months ago for oil. Is my price still good? Where is the FOB point that my order would be shipping from? What’s the lead time for your orders? How fast will it deliver? Do you offer credit terms? What other ways can I pay? I have so many questions. How can I set up a consult with someone who can guide me through the process? I want to place my first order for an item that’s been quoted to me. How do I get started? 1. What is the shelf life of olive oil? We recommend that olive oil be used within 24 months from the date of manufacture. You will find this “best by” date on your Certificate of Analysis attached to your order. Keep in mind, however, that olive oil is a natural product and is at it's quality and flavor is at its peak immediately after being pressed. 2. Is your olive oil Non-GMO, Kosher and/or Organic? 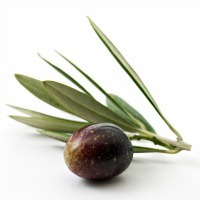 Our olive oil is Non-GMO and Certified Kosher by Star K. Our Extra Virgin Olive Oil is certified Kosher for Passover. We also have a USDA Certified Organic Extra Virgin Olive Oil available. 3. What country is Centra Foods’ oil from? We’ve built strong relationships with edible oil manufacturers across the globe, which allows us to offer oils from a variety of sources. Our inventory rotates to allow us to offer the lowest prices and highest quality oils at all times. Our bulk olive oil may come from any of the following countries: Italy, Spain, Greece, Argentina, Chile, Turkey, Tunisia, Mexico, Morocco or the USA. When your order ships, you will receive a Certificate of Analysis certifying the country of origin. You can always request this information from your account manager prior to finalizing an order. If you require a consistent supply of a particular origin or taste profile, this can be accommodated (minimum annual volumes apply). 4. I haven’t decided what grade of olive oil I should get. What do you recommend? Our recommendation will depend on what you’re using it for, your price constraints, and other quality requirements. It’s best to set up a consult with one of our account managers, who will listen to what you’re looking for and provide guidance and feedback based on their knowledge. Keep in mind, there is no “set in stone” best recommended product-- it will all depend on what works for your business and the application that you’re using it in. 5. I need a 100% olive oil that has a mild flavor, or no flavor at all. What do you recommend? Refined Olive Oil or Olive Pomace Oil will be your best options. Refined Olive Oil is Virgin Olive Oil that has been processed to remove much of the taste and color found in Extra Virgin or Virgin Olive Oil. Olive Pomace Oil is also refined and processed in a similar way, and has a mild color and taste. However, it is made from the “pomace” of the olive (left over pulp, fruit and skin of the olive after the initial pressings) and uses a solvent to extract the oil. Olive Pomace Oil has a lower price point than Refined Virgin Olive Oil. 6. Can you match a particular taste profile that my QA/R&D team has specified? Yes, we can. This does require a supply contract (minimum annual volumes apply). 7. I’m deciding between the 55 gallon drums and the totes. What are the pros and cons of each? Drums are smaller and easier to move around if you have limited space or don’t have a fork lift. You get the oil out using a re-usable pump that goes into a hole at the top of the drum. Because they’re smaller and they have more packaging costs involved, they are priced sightly higher than the totes (usually $0.02-0.03 /lb more). Each drum has a gross weight of about 500 lbs. Totes are large “box containers”. They come in a variety of sizes (264, 275 and 330 gallon) and materials (hard plastic with an aluminum cage or Bag-in-Box). They each have a spigot located near the bottom of the tote that is used to dispense the oil. They take up the same space as 4 drums on a 48” x 48” or 40” x 48” pallet, but require a fork lift or pallet jack to move them around due to their heavy weight. The 330 gallon totes hold 6 drums worth of oil, and can save you 33% on shipping costs. 8. I want to buy in drums, but I’m afraid that might be too much oil. Is there a smaller size? Yes, we carry a 35 Lb. Container (4.6 Gallons) which is the next smallest size down from the drums. This is packed on a pallet with 60 containers on each, so you actually will get more oil than if you order a pallet of 4 drums. If you need 10 or less 35 Lb. Containers, please order through our Online Wholesale Store. 9. Do you offer tankers or flexitanks of olive oil? Yes, we do. Receiving your olive oil or blend in a flexitank or tanker can be a great way to lower the price of the oil and cut down on shipping costs. These orders are quoted based on the current market, so you will need to set up a consult with one of our account managers. You can call us at (800) 689-7510 x1, or click here to set up a phone or virtual meeting time. 10. What other products do you carry? Centra Foods is an edible oil supplier, specializing in bulk olive oils. We also offer 100% Canola Oil as well as olive oil blends with Canola Oil or Soybean Oil (conventional, expeller-pressed, non-GMO and organic varieties available). We now also offer Expeller-Pressed Non-GMO Safflower Oil and Rice Bran Oil. Because of our position in the marketplace, we also can source other edible oils at very competitive prices. Contact us to learn more about our custom edible oil sourcing. 11. Can you export my olive oil to a different country? I want it delivered outside of the US or Canada. Centra Foods delivers to the US and Canada, but doesn’t offer any exporting services. If you’re interested in exporting, our olive oil is available for pick up from our corporate facility in Kent, WA. However, the entire exporting process will be coordinated by you (including obtaining the container, coordinating freight and overseas transportation, preparing paperwork, working with customs, etc). 12. How do I get a quote on my bulk olive oil? You can contact us to request pricing, or better yet, a 10-15 minute consult with one of our team members. You can submit a quote request online, email us at info@centrafoods.com or call us at (800) 689-7510 x1. What grade of olive oil are you looking for? If you’re looking for a blend, what ratio? What packaging size(s) are you interested in? How much oil do you expect to use on a monthly or annual basis? Where will this be delivering to? 13. The price I was quoted doesn’t include transportation. How much is shipping going to cost? The cost of shipping depends on your location; it is a custom rate based on your address and if you have any special delivery needs (lift gate, delivery appointment, etc.) We initially quote our all orders FOB Centra Foods (Kent, WA 98032 or an alternative location), and quote a separate shipping cost based on your specific location when you place your order. We partner with freight carriers around the country to help you get the lowest rates possible. Our facility can also accommodate pick-ups if you have a carrier that you prefer to work with. 14. Why does the price of my olive oil fluctuate? Bulk olive oil is, in essence, a commodity item. This means that the global market price fluctuates on a daily basis and is largely dependent on the supply of olive oil available in the world. Centra Foods works with manufacturers around the globe to source high quality, authentic olive oil at fair prices. Like all olive oil suppliers, we’re still affected by the global fluctuations in price as the market rises and falls. We continually rotate through large volumes of inventory, and as a result our rates are based on the current market. 3, 6 and 12 month price contracts may also be available (minimum annual volumes apply). 15. I was quoted a couple months ago for olive oil. Is my price still good? Price quotes are good for 7 days, so your rate would have to be updated. Our pallet pricing is updated every few weeks based on inventory rotations and the current global market. Contact your Account Manager to get an updated quote or call (800) 689-7510. 16. Where is the FOB point that my order would be shipping from? Our corporate office and packing facility is located in Kent, Washington. For most orders, this is where your oil would be shipping from. For customers in a supply contract, we offer local storage facilities in their town. If you’re using at least one pallet per week (4 drums or 1 tote) this is a cost-saving option worth inquiring about. We also offer direct deliveries from the country of origin, which can save up to $15,000 per year on your landed cost by eliminating all freight charges. 17. What’s the lead time for my order? How fast will it deliver? Once your order is placed, you can expect a lead time of 7-14 business days before it will ship. This allows our team to prepare, pack and coordinate the shipping for your order. The delivery timeline will depend on how far your oil has to travel. Usually, a local in-state delivery will take 1-2 business days where a cross-country delivery is 7-9 business days. You’ll receive a email confirmation with a tracking number when your order leaves our warehouse, allowing you to track your shipment as it travels to you. 18. Can I set up automatic deliveries? Yes, you can. We offer automatic deliveries to many of our customers; it simplifies the buying process, especially for those that require a consistent volume. To set up auto-deliveries, you will either fill out our supply agreement or submit a “multi-order” purchase order with specific delivery dates and volumes. Talk to your account manager to learn more. 19. Do you offer credit terms? What other ways can I pay? Yes, we offer credit terms upon approval from our Accounting Department. To receive credit terms, you will need to fill out our New Customer Profile and Credit Application. You can expect a response within 2-3 weeks from our Accounting Department. We recommend filling this information out prior to placing your first order. You can also pay with a check, ACH, wire transfer, Mastercard or Visa. 20. I have so many questions. How can I set up a consult with someone who can guide me through the process? A consult is the best way to get answers to all of your questions. You can call us at (800) 689-7510 x1 to set up a consult, or click here to set up a phone or virtual meeting time. Selecting the right grade, packaging, price and all of the other details can be an extensive process. Our team is experienced in the olive oil industry, and can help you make informed decisions every step along the way. 21. I want to place my first order for an item that’s been quoted to me. How do I get started? First you’ll need to fill out our New Customer Profile to get set up in our system. If you’d like to be extended credit terms, you’ll need to fill out a Credit Application. To place your order, please email your purchase order to orders@centrafoods.com and cc’ your account manager. You can also call (800) 689-7510 x2 to place your order with our Order Processing Department over the phone, or you can fax your order to (888) 838-2231. Please contact us if you have any questions not answered above. We will be happy to help!